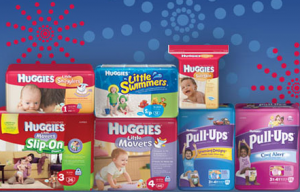 Did you know you can get a $25 Commissary Gift Card when you buy Huggies diapers? It’s easy! Here’s how ~ When you purchase 12 packages of Huggies Mega paks at the Commissary, just save the UPC labels and receipts. Purchases do NOT have to be made all at one time, Just make the purchases before 31 December 2011 and use this REBATE form! Double Dip – the great deal by using the rewards points toward the Easy Rider Rewards Program – see the related posts below! Chili’s Gift Card Deal – Buy $50 get $10 Bonus!